While half of Australia is still in holiday mode, the first major show of the year on the busy annual design circuit, IMM Cologne 2017, is already behind us. Today we focus on our favourite parts of the event – the Pure Talents Contest – an internationally renowned competition aimed at students, recent graduates and up-and-coming young designers. Now in it’s 14th year, Pure Talents Contest is responsible for showcasing 375 products from 474 designers from all around the world, some of which have been taken into production by well-known manufacturers. Alongside Sebastian Herkner on the jury were Sophie Lovell (Journalist, Berlin), Rianne Makkink (Designer, Studio Makkink & Bey, Rotterdam), Tobias Lutz (Managing Director and Founder of Architonic, Zurich) and Harry Paul van Ieel (Designer, Studio Harry & Camila, Barcelona). 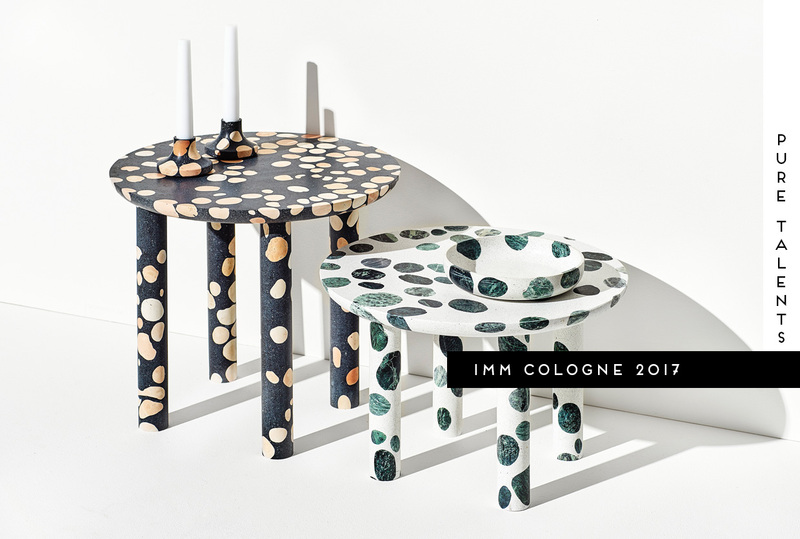 So without further ado, here’s a selection of our favourite products by the young participants showcased at IMM Cologne 2017. 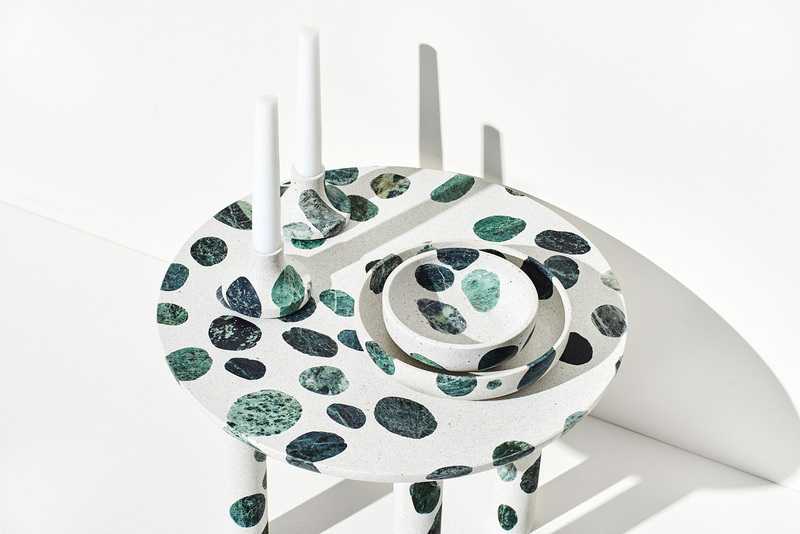 Collecta by Alberto Bellamoli // Collecta is a range of objects and furniture pieces that bring a new perspective on the Italian traditional material Terrazzo. 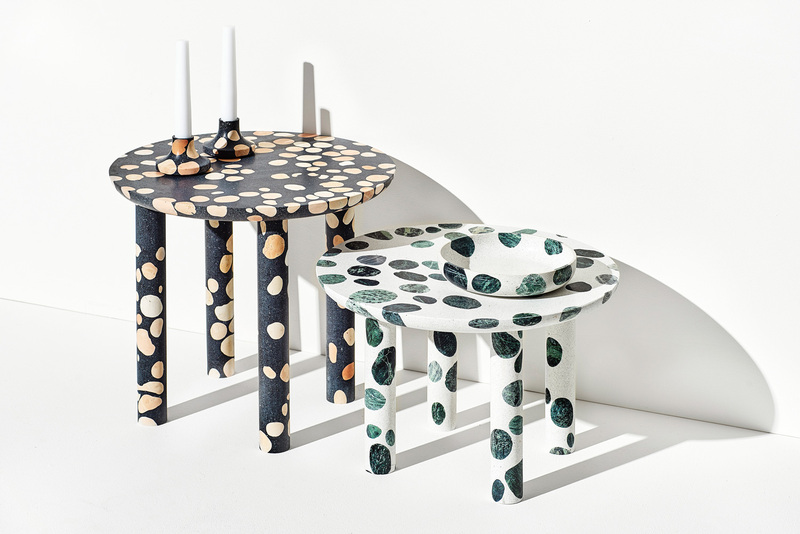 The collection is composed by 2 coffee tables, 4 bowls and 4 candles. I think it’s love. Edge by Roee Magdassi // Edge’ is a set of two coffee tables, which can be used either outdoor or indoor. 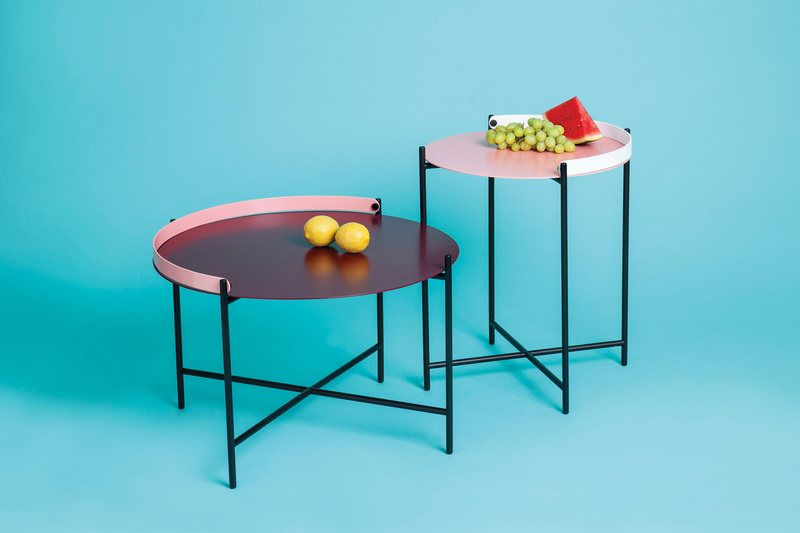 The tables are made of powder-coated steel and aluminum and feature a carrying handle, which has both visual and functional values. 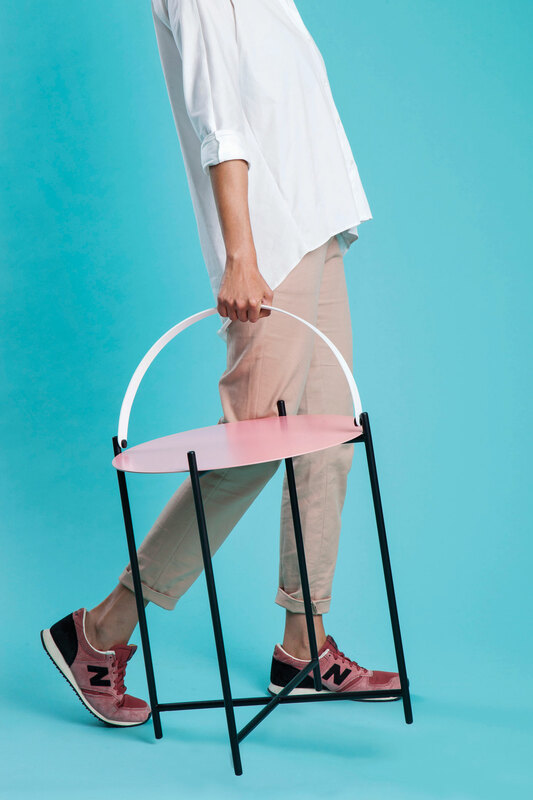 The half ring shaped handle functions in two manners: making it easy to carry the tables around and when not in use, as an edge, making sure nothing slips off surface. 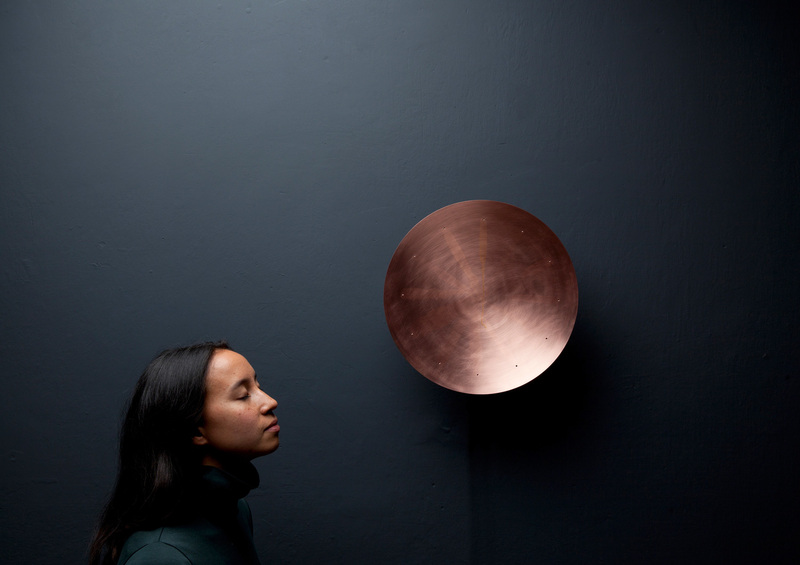 Es liegt was in der Luft/ An olfactory clock by Patrick Palcic // This olfactory clock allows the user to experience the passage of time in a different way. Instead of time being read, the clock hangs in the air and gets inhaled. 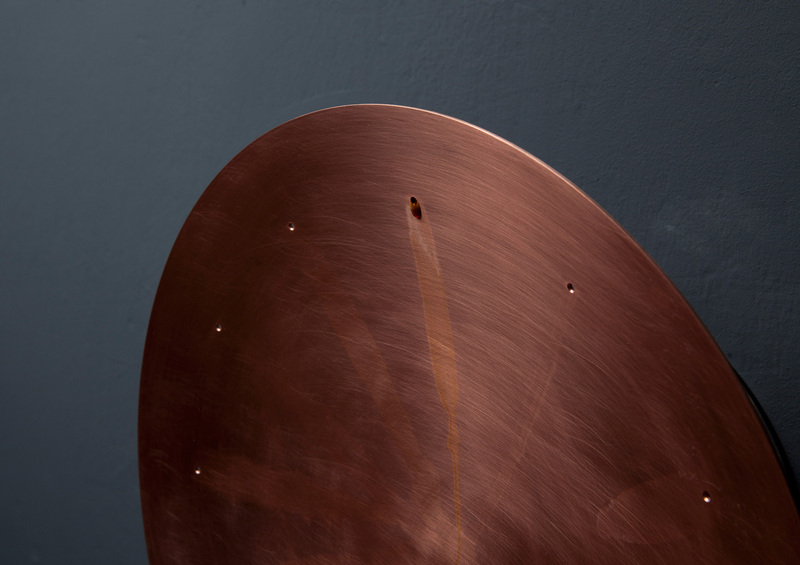 At hourly intervals, a drop of essence trickles down onto the pre-heated copper dish and leaves behind a very delicate trace. A new fragrance can thus be assigned to each hour. Flexit by Pieter Peulen // Belgium-based designer Pieter Peulen was inspired during his time in school while living in student accommodations. Flexit is a structure made up of two vertical frames and one horizontal one. 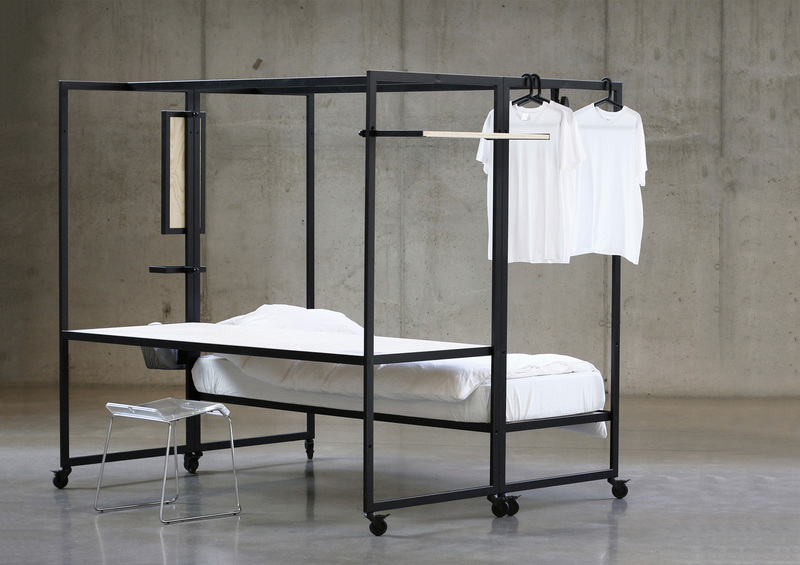 The horizontal frame can be set at three different levels – as a bed, a desk, or bunk bed. You can connect the two elements together to create more options or separate them and put them in different parts. The possibilities are endless. 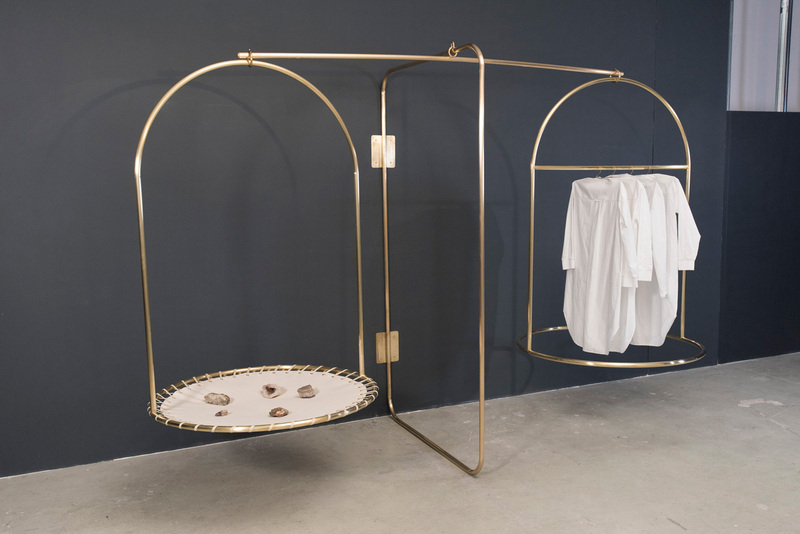 Goldwaage by Vera Aldejohann // This wardrobe object works like a set of mechanical balance scales. If an item of clothing is removed or added, that side of the object lifts or drops. A balance can be achieved using the weighing pan on the other side. As a result, the user is provoked into taking action as a consequence of their usage. The wardrobe object responds sensitively and physically to being used and is an homage to the pre-digital era. Hello, Goodbye by Philipp Hermes & Dustin Jessen // The cloakroom is a venue for social and personal rituals. You greet guests, and say goodbye to them again, and go through personal routines when entering and leaving your own four walls. The acts of putting on your jacket and shoes are part of the same story. 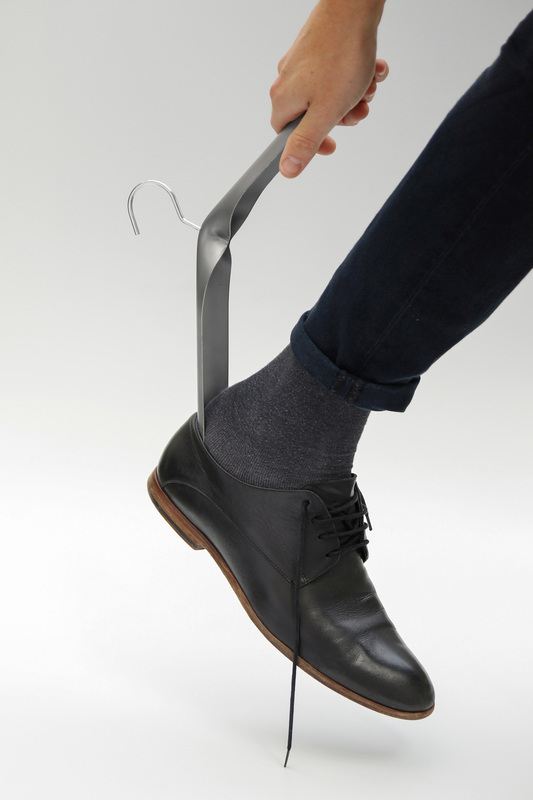 Made from a strip of sheet metal, the coat hanger “Hello, Goodbye” combines clothes hanger and shoehorn into one product and is an attentive companion to your daily rituals. Nascondino by Pierre Emmanuel Vandeputte // Nascondino is a collection of alcoves providing a moment of intimacy. Reminiscent of the youthful days of hide-and-seek, Nascondino creates a new space in which we can lose ourselves in reverie. When we leave our feet poking out, it’s usually because we want to be found. 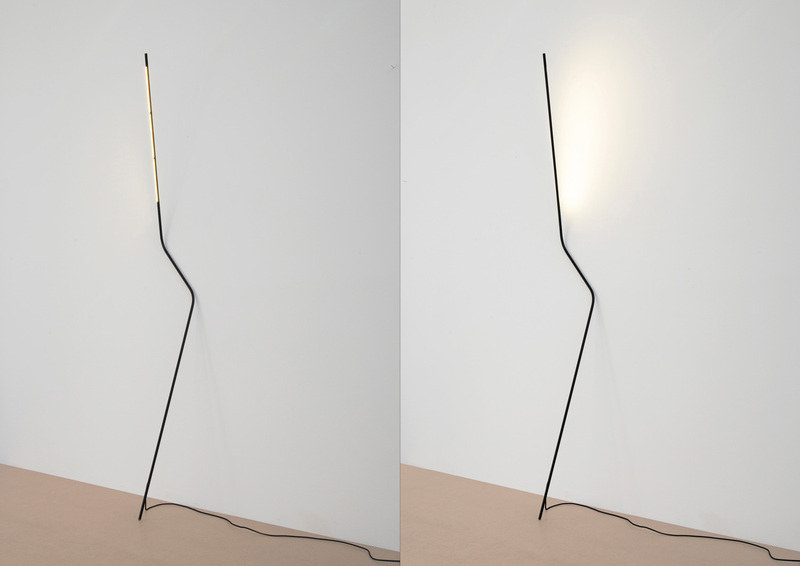 Neo by Bernhard Osann // This lamp consists of a rod bent in two places, which leans against the wall. The points where it comes into with the wall and the floor are made of silicone and give the lamp a secure standing position. In the upper part of the rod, LED modules are embedded in the profile. Cooling vents are located on the reverse of the lighting segment which can be rotated, thus providing direct or indirect illumination. Neo was the overall winner of this year’s Pure Talents Contest. Love Thin Black Lines as much as we do around here? Check out more projects here. 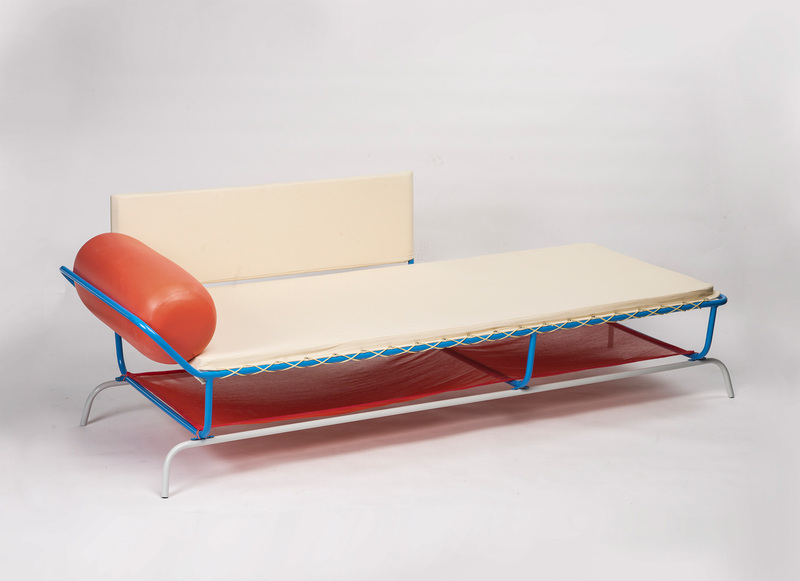 Paresse by Guillaume Morillon // Paresse is a daybed celebrating the lazy pleasure experienced at the beach. While sitting, spreading, or even laying, Paresse offers both a change of scenery and the comfort of an interior furniture. Combining specific materials and technics, the aesthetic of Paresse refers to sails, ropes, meshes and plastic inflatables encountered on seaside resorts. Pico Balla by Enzo Zak Lux // The back surface of Pico Balla consists of 8 colour fields, on which surfaces of different heights are arranged in alignment with one another. 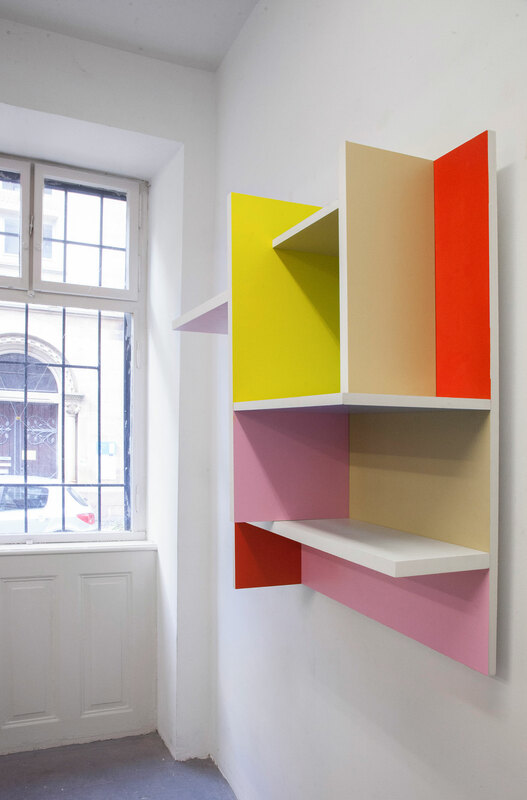 Viewing the superimposed surfaces from different angles results in a fascinating game of constantly evolving compositions of colour and space. 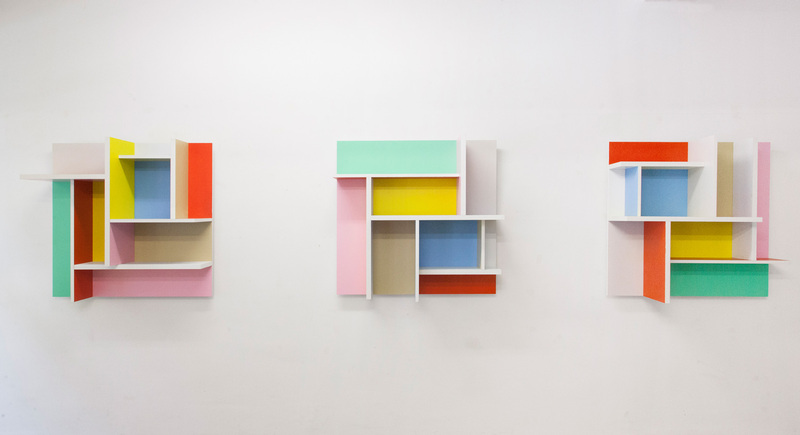 Three identical wall objects have been produced that appear strikingly different simply by being rotated by 90 degrees. 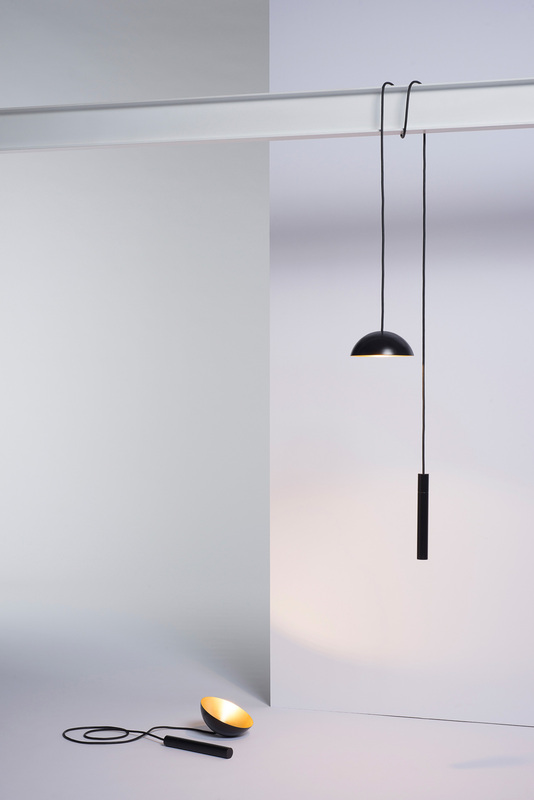 Pong by Simon Diener // This lamp, consisting of a lampshade, a battery and the power cable, is a versatile pendant luminaire. Here, the cable is not simply defined as a power line – instead it primarily serves a mechanical function, as a cord that allows the lamp to be loosely slung over banisters, suspended from beams or anywhere else. 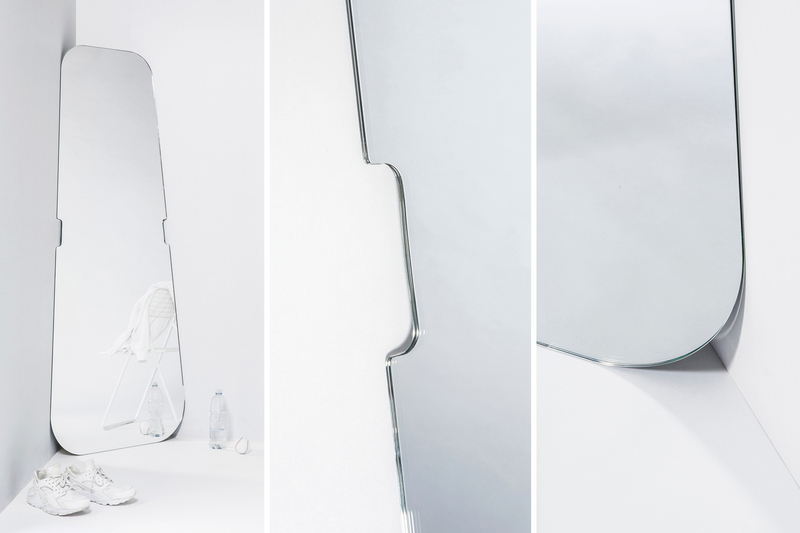 SLANTED MIRROR by Christoph Hauf // SLANTED MIRROR is a corner mirror. Its position in the corner of the room shifts the focus to an area that otherwise plays a somewhat marginal role in the home. 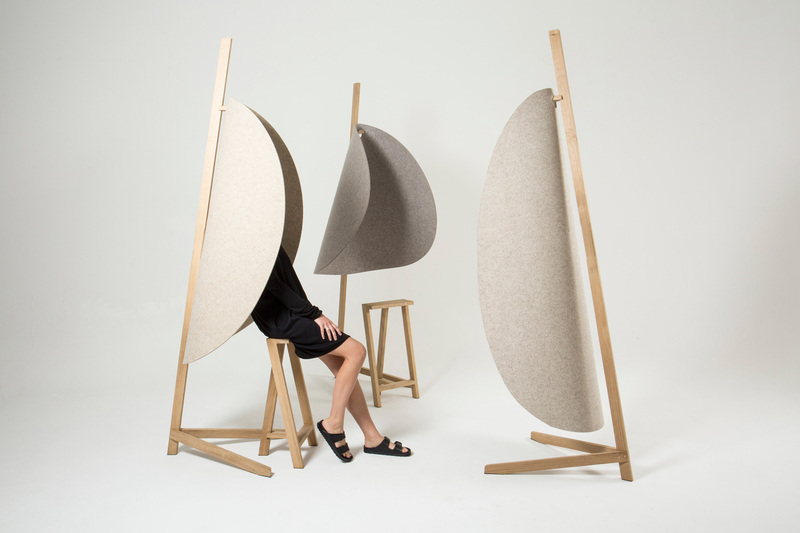 Thanks to its elongated trapezoidal form, it can sit flush against walls and floor without the need for a frame. By reflecting the room on a diagonal, the mirror allows the space to be seen from a new perspective. 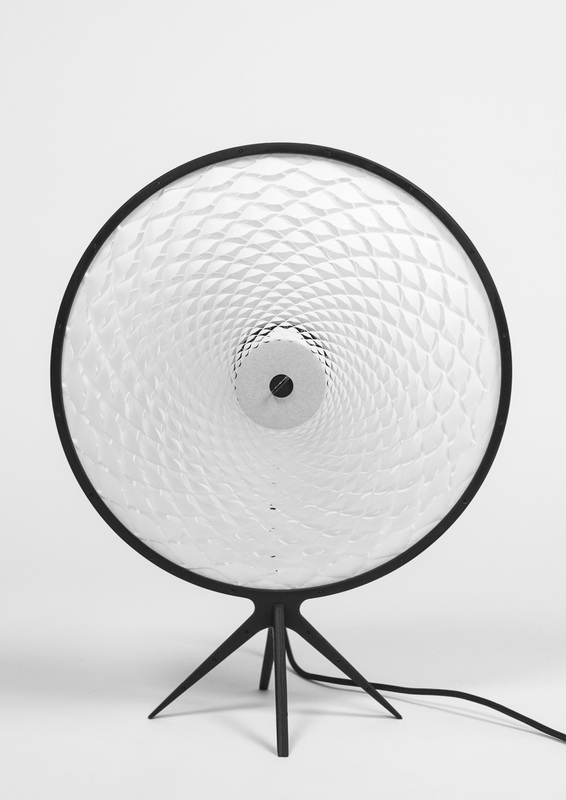 SOL by Jona Messerli // SOL is a Japanese-inspired lamp, which allows the sun to continue to shine indoors. The table lamp, which is sculptural in nature, is flat-packed and can be assembled easily. Thanks to a unique cutting pattern, two layers of tear-resistant “MADOCA” shoji paper are stretched and mounted around the illuminant. This results in atmospheric mood lighting. The Colour of Hair by Martijn Rigters & Fabio Hendry // The Colour of Hair is a collaborative project between Dutch designer Martijn Rigters and Swiss designer Fabio Hendry. 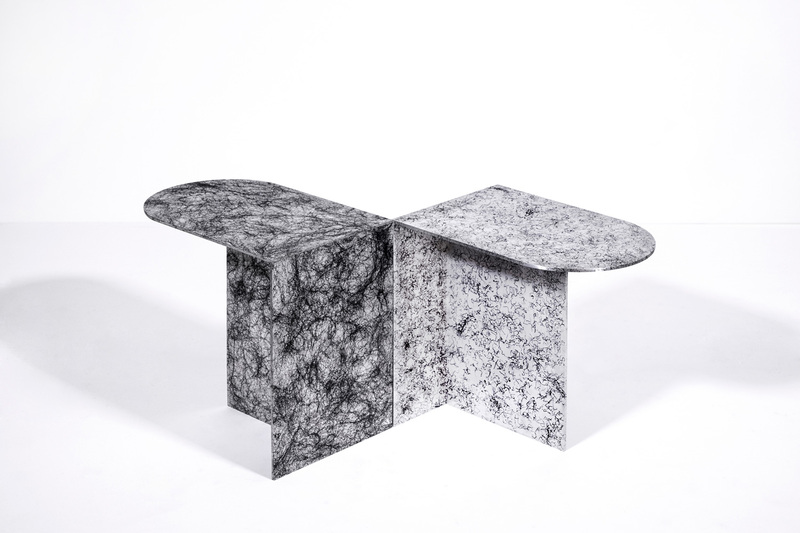 The tables display their innovative process of transforming abundant human hair into a sustainable and resistant ink. By carbonizing the keratin from the hair into hardened aluminum, the duo has developed multiple unique patterns for a range of artifacts, as well as applied their printing wonders to floor and wall tiles. 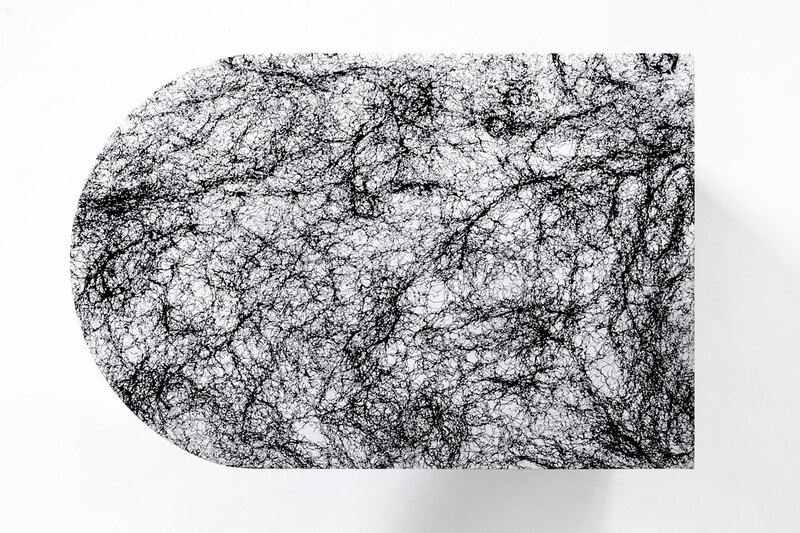 Related Post: ‘Hair Highway’ Collection Made From Human Hair by Studio Swine. 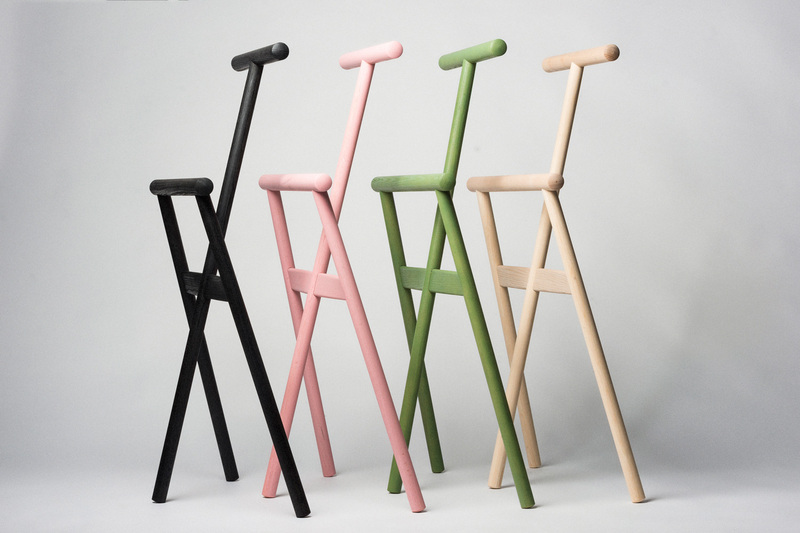 Tordu by Robert Hahn // The traditional technique of steaming and bending solid wood is reinterpreted with the valet stand “Tordu” and translated into a contemporary design. A flat timber profile is not bent during the finishing process, but twisted. The resulting torsion (twisting) becomes a functional and creative component in the frame structure. 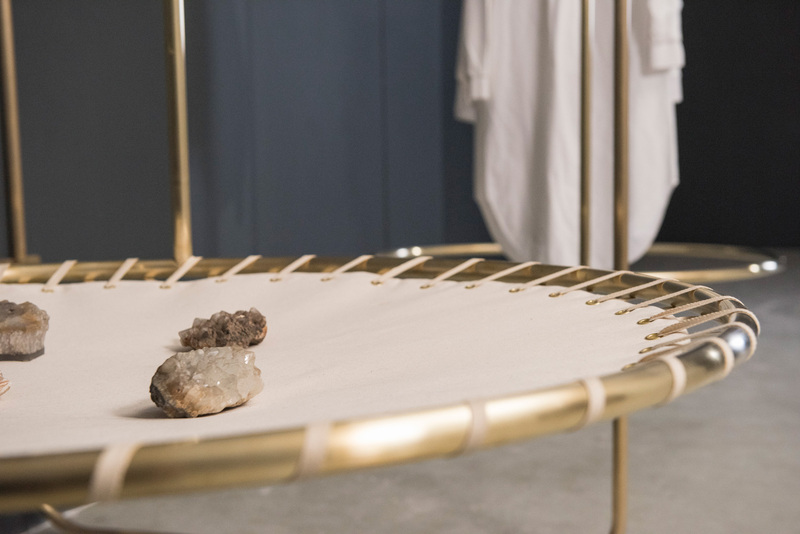 Elk’s First Flagship Store in Melbourne by Fiona Lynch.